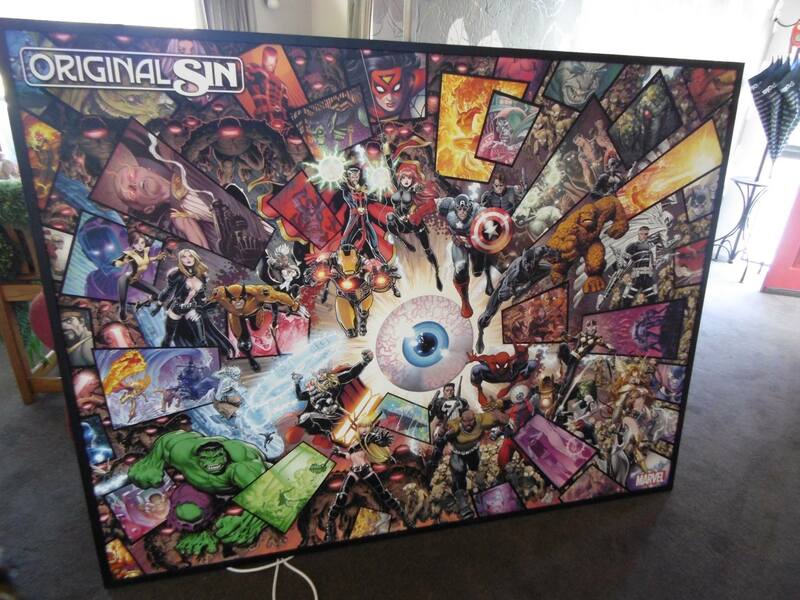 This is the vinyl poster of the full image of 8 Original Sin covers, sized at 66 1/4 x 50 5/16 . We have 100 of these. The picture used to illustrate this poster, and show scale, shows Aaron Pauls' framed poster. This will not come framed from us. While they are not limited in production, these will be the only numbered and signed version of this poster.